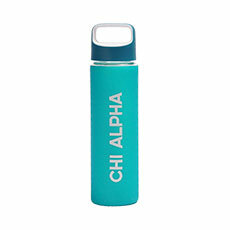 Stay refreshed with this 18-oz. glass water bottle. 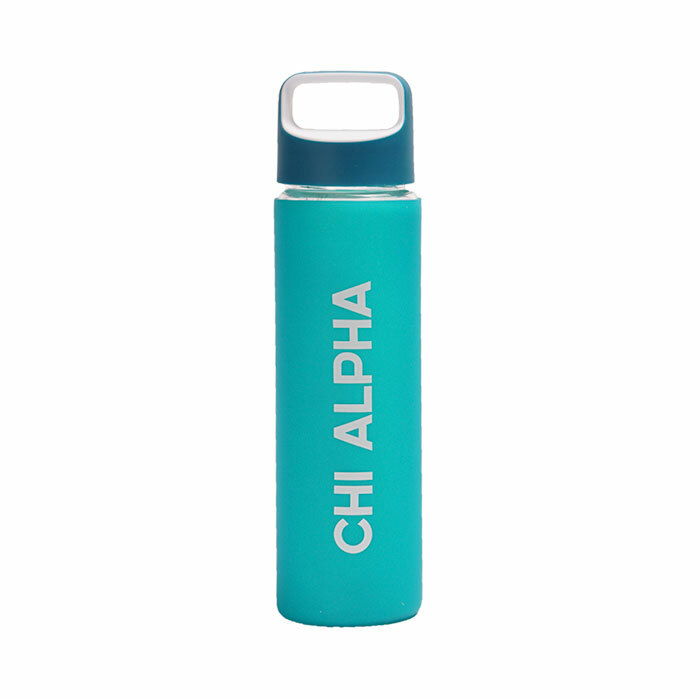 Features a threaded color accent lid and an aqua colored silicone sleeve with "Chi Alpha" down the side.